Motion – or, more accurately, activity – in and of itself, is not necessarily synonymous with, or equivalent to, realprogress, or, in fact, anyprogress at all. Recent reports emerging from elsewhere within the universe of organizations representing the manufactured housing industry paint a uniformly rosy picture of almost non-stop engagement, dialogue, meetings, conferences, photo-opportunities (presumably to prove the reality of the supposed engagement, dialogue, meetings and conferences) and other related confabs, particularly at the national level. This “good news” all the time meme, in turn, is replicated, repeated and touted by those who, for whatever reason, have determined that it is to their advantage to do so. Indeed, an entire new publication has appeared with the apparent mission of wet-nursing this meme. Meanwhile, others touting and promoting the new meme, urge industry-wide “boycotts” – the intellectual equivalent of book-burning — of anyone who dares question the legitimacy of the meme, or the possible motives of some of its proponents. As President Ronald Reagan famously said, though, “facts are stubborn things.” And the irrefutable facts that are emerging from behind the veil of “group-think” (defined as “a psychological phenomenonthat occurs within a group of peoplein which the desire for harmony or conformity in the group results in an irrational or dysfunctional decision-makingoutcome”), unfortunately, show that the happy-talk is just that – talk — a veneer designed to create an “illusion of motion” regarding the critical issues that helped tank industry progress and prosperity a decade ago and continueto needlessly restrain and undermine its recovery, growth and development years later, even as the need for affordable, non-subsidized homeownership reaches new heights every day. 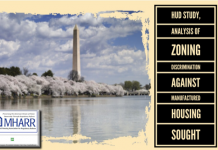 The key question, then, for the industry, its representatives and its consumers, is why is the HUD Code industry — both over the longer-term and currently – not doing better? In a climate of significanteconomic growth, job creation (with unemployment at an 18-year low) and wage growth (with an average hourly wage of $22.95 per hour, an all-time high) on the one hand, and increasingly unaffordable prices and interest rates for other types of homes and other types of consumer home loans on the other – and with HUD Code manufacturers today producing their best homes ever at the most affordable prices ever (both inherently and relative to other types of housing) – why is the industry not producing and selling hundreds-of-thousandsof homes each and every year? The short answer, is that the problem – for the most part — does not currently lie within the industry’s production sector. 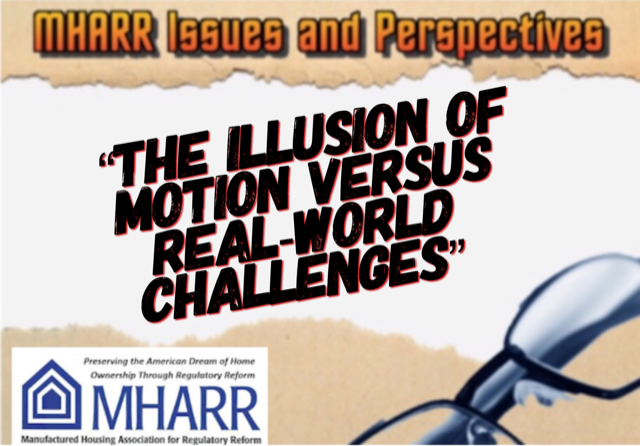 While still burdened by HUD (and other government) regulatory overreach and related costs in various respects, the production (or supply) side of the industry’s economic equation is notthe principal culprit in the industry’s failure to reach its full market potential. Instead, it is afterthe industry’s outstanding, inherently affordable homes leave the factory that they hit a proverbial “brick wall.” Indeed, objective analysis shows that the principal market-limiting factors for the industry today, are clustered, almost entirelyon the demand – or post-production— side of the equation (i.e., once the home leaves the factory) where they have not been addressed either decisively or effectively. 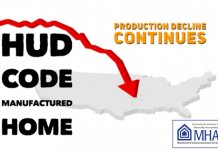 And what are the principalpost-production problems that have – and continue to – substantially hamper the growth of the HUD Code manufactured housing industry? 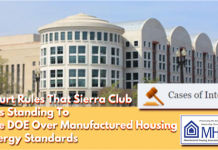 As MHARR has previously explained and analyzed in detail, they are: (1) exclusionary local zoning ordinances and mandates that discriminate against manufactured homes and manufactured homeowners; (2) other types of local placement restrictions or limitations on individual manufactured homes and manufactured home communities; and, most importantly (3) the continuing lack of support for mainstream manufactured home consumer financing – and most particularly manufactured home chattel loans— by Fannie Mae and Freddie Mac under the “Duty to Serve Underserved Markets” (DTS) mandate, and the Federal Housing Administration (FHA) and Government National Mortgage Association (Ginnie Mae) under HUD’s nearly moribund Title I manufactured housing program. Together and in combination, these elements of the post-production “brick wall,” have created a perfect economic storm that especially harms smaller industry businesses and HUD Code consumers, while benefitting only the industry’s largest businesses. 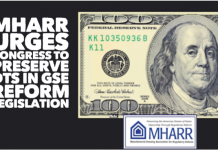 Unfortunately, though, the unavailability of any(let alone comparable) GSE support for the manufactured housing chattel market, has had the opposite effect, severely limiting the number of lenders serving that market, and needlessly inflating interest rates. Indeed, data presented in a January 2019 report by the Consumer Financial Protection Bureau (CFPB) entitled “Ability to Repay and Qualified Mortgage Rule Assessment Report,” shows that manufactured housing loans, since 2012, have declined as a share of home loan originations for bothlarge and small lenders. 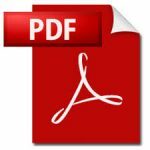 (See, CFPB Report, p. 222, Table 39 and related text). 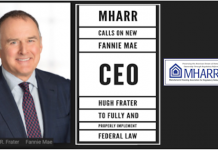 DTS, with its specific allowance for the inclusion of manufactured home chattel loanswas meant to address this, but Fannie Mae and Freddie Mac, while touting chattel lending support, are actually doinglittle or nothing. Instead, citing a lack of performance data for manufactured housing chattel loans, which could be, but apparently has not been made available by the current few industry-dominant lenders, the GSEs continue to seek to dilute even the miniscule level of support for such loans — comprising nearly 80% of the manufactured housing consumer finance market– which they proposed in their initial DTS “implementation plans.” Meanwhile, the same industry-dominant lenders, free from the increased competition that would be engendered by the full and robust implementation of DTS, continue to originate (and retain on portfolio), manufactured home chattel loans, albeit at a much higher interest rate, with absolutely no incentive to provide such information to Fannie Mae, Freddie Mac, or Ginnie Mae. This unacceptable state of affairs will not change without aggressive push-back by – and on behalf of – the industry’s post-production sector. 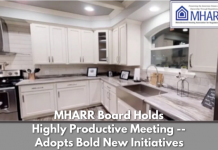 Quite simply, in 2019, thatis where the problems are that limit the potential of the mainstream manufactured housing market, and, with it, the growth of the industry to where it shouldbe. The existing scenario for the post-production sector is a façade that primarily serves the narrow interests of the industry’s largest corporate conglomerates while smaller businesses – and lower and moderate-income American families — suffer the consequences. This situation must change. But for that to occur, industry members must reject the “fluff” that they are constantly peddled, confront the “stubborn facts” that will not just go away otherwise, and demand real, aggressive action on these and a full-range of other post-production issues.